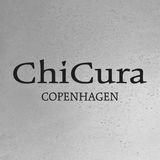 CHICURA OUR NAME The name ChiCura is composed of two words which are very important in relation to the thoughts and dreams behind the brand. Chi comes from the Chinese qi and means life energy. Cura is the Latin word for care. In other words, caring for life! OUR MISSION It is ChiCuraâ&#x20AC;&#x2122;s long term mission to come up with a variety of designs that you can acquire with a clear conscience. ONLY animal-friendly products that are produced under humane conditions. Likewise, our mission is to donate up to 10% of our annual profits to charity. SO FAR... So far, we have launched prints, art cards, frames and cushions. All designs consist of photos taken and retouch by ourselves. We are very passionate about photography and loves the creative process, from the photo shoot to working with the images. OUR ZODIAC DESIGNS We are fascinated by individuality.The why and how we people form our unique personalities. We also like to be reminded of our good qualities, donâ&#x20AC;&#x2122;t we? Therefore, we created these 12 zodiac designs. The look is minimalistic and modern and can easily fit with the rest of your home.They can stand alone or together, maybe in different sizes, to give your home that personal touch. The designs are available in sizes: A5(Art Cards), A3, 50x70 cm & 70x100 cm. 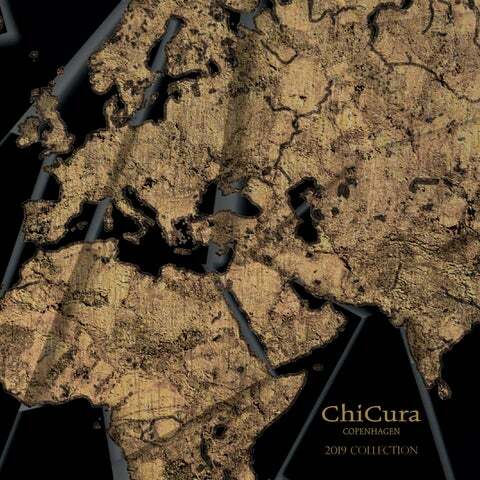 CHICURA MAPS Layer upon layer our world is evolving. Full of history that’s been created by people’s thoughts and actions. You’re part of it. Each map is available in 5 different colors or customized color on request. The designs are available in sizes: A5(Art Cards), A3, 50x70 cm & 70x100 cm. OUR PHOTO ART & GRAPHIC DESIGNS The designs are available in sizes: A5 (Art Cards), A3, 50x70 cm & 70x100 cm. Available in special sizes on request. Option: Printed on other materials - please contact us for further info. All designs are printed by ourselves & on ECO-Friendly (FSC) paper. WOODEN FRAMES Our frames are available with acrylic or real glass. Acrylic glass is a lightweight frame. It is easier to handle during transport and when you move it around in your home. Solid oak and european wood. They are manufactured in EU and by the use of sustainable wood production. High quality back closing system. A5 & A4, include both hangers and easel back. Special sizes or colors - contact us for quote. OUR ART CARD DESIGNS Our Art Cards can be used as a card for various events as well as wall decoration. All of our poster designs are also available as Art Cards. Here is just a little selection. Printed in Denmark on 320G ECO-Friendly (FSC) paper. ECO-Friendly envelopes are included. BEHIND CHICURA The story leading up to ChiCura’s birth... The founders behind ChiCura, Charlotte Harbo Lavian and Daniel Lunding Lavian, got together in March 2010, in a work-way that is. Besides being working partners, they have, in their private lives, also been a couple since 2007. Thoughts about an independent life were a high priority for them, so they quickly agreed that they should try it out, despite being aware of the many challenges they had to face. Daniel and Charlotte each come from two very different backgrounds, which means that together they stand strong. Daniel has the economic and strategic business background. After his studies, he has played a big role in several growing companies and is good at juggling many tasks at the same time. “Good at juggling many tasks at the same time” This doesn’t apply in private.” adds Charlotte. Charlotte is from the more creative, visual branch and has worked in different large photography studios. In 2010, she started as a self-employed photographer and retoucher in CH Touch. Later in 2014, Daniel became part of CH Touch, which they still run to this day. The photography studio has its own studio in Copenhagen as well as employees and is behind images for large Danish and international brands. After having worked with different brands for many years, the dream grew. Suddenly, CH Touch became the springboard for a new brand that Daniel and Charlotte began to work on at the same time. It absolutely had to have something to do with photography, design, and creativity since they had already created the perfect foundation for it. SUBJECT TO PRINTER’S ERRORS & COLOR DIFFERENCES. © 2019 CHICURA ApS. ALL RIGHTS RESERVED.